...we had camped for the night. 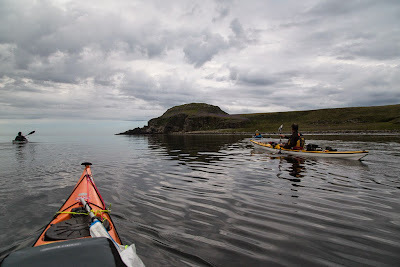 After breakfast we broke camp and loaded the kayaks under a leaden sky. 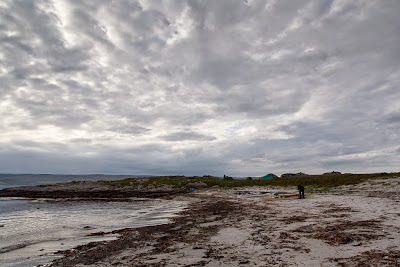 As we packed we were sorry to be leaving Cara after a most enjoyable two days. 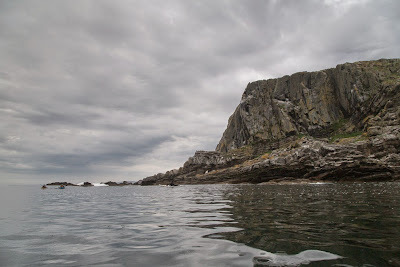 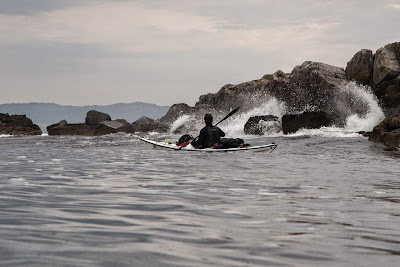 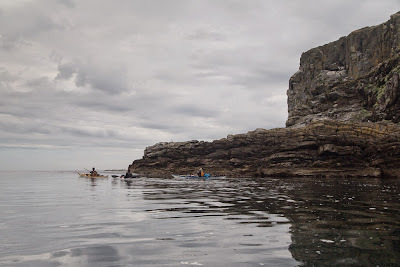 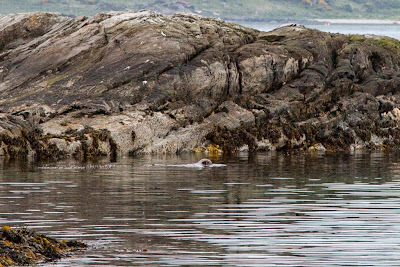 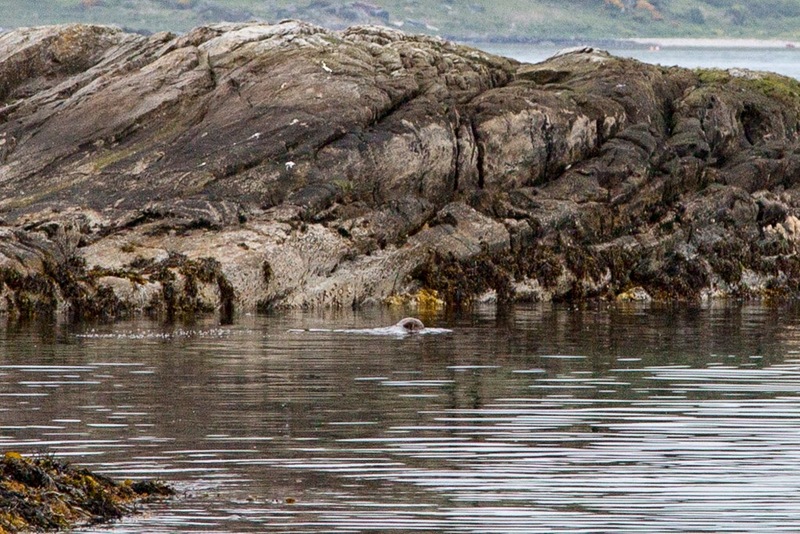 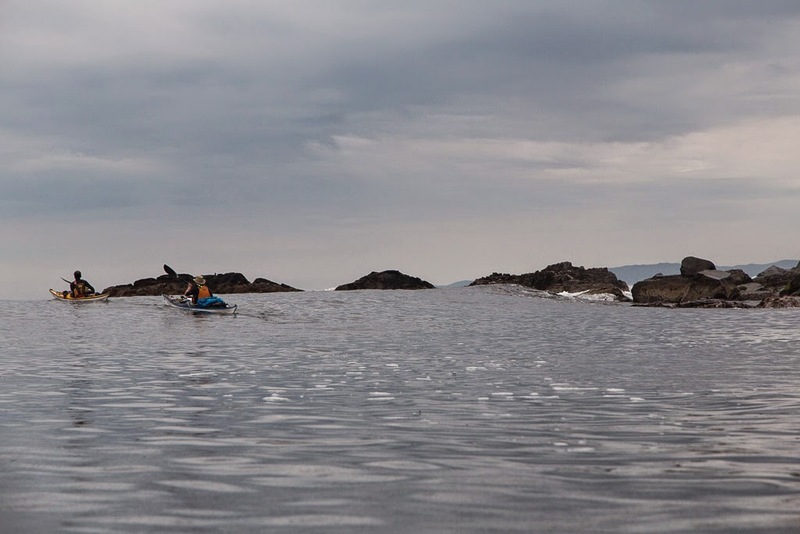 There was not a breath of wind as we paddled south along the east coast of Cara and bid our farewell to The Brownie who was no doubt observing our departure from his attic window in Cara House..
We were bound for the Mull of Cara. 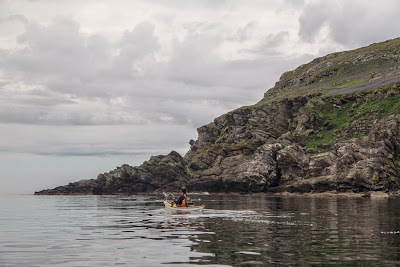 ...as we rounded Cara's southerly point.